Buoyed by gains in TCS and Tata Motors, benchmark indices Sensex and Nifty ended higher on Monday in line with global peers. Evening Podcast: Is this stock rally here to stay? New Delhi: Media firm Network18 Media and Investments Monday reported a consolidated net loss of Rs 75.57 crore in the fourth quarter ended March 31, 2019. The company had reported a net loss of Rs 39.32 crore in the corresponding period a year ago. The media and entertainment firm's revenue from operation in the quarter under review stood at Rs 1,230.93 crore. It was Rs 824.89 crore in the last quarter of fiscal 2017-18. India’s largest mutual fund distributor NJ Wealth Advisers is likely to foray into AMC business. An ET NOW report said the group applied for the AMC license with markets regulator Sebi last week to enter into the mutual fund business. New Delhi Copper futures traded lower by 0.48 per cent at Rs 448.90 per kg Monday as speculators offloaded their bets to book profits. Besides, subdued demand at the domestic spot market further pushed down metal prices here. Shares of Rail Vikas Nigam (RVNL) surged as much as 15 per cent in Monday's session. Price as on 15 Apr, 2019 01:10 PM, Click on company names for their live prices. Price as on 15 Apr, 2019 11:12 AM, Click on company names for their live prices. Shares of pharmaceutical firm Wockhardt climbed over 2 per cent in early trade on Monday. Shares of the company got tractions after it said that the USFDA's inspection of its Bioequivalence centre in Aurangabad, Maharashtra yielded no observations. In a regulatory filing, the company said no observations were made after the US drug regulator inspected its Bioequivalence centre during which Bioequivalence studies of Tamsulosin 0.4mg capsules and Metoprolol Tartrate 200mg ER tablets were audited. This election is likely to give us a relatively stable government. And as long as we have political stability, I believe that we will see the start of a new bull run. It is difficult at this point of time to predict where the stocks, bonds, rupee etc. would go. But I remain positive and bullish on the fact that postelection, we will see a new rally particularly in the mid-caps. The market is super-intelligent and is generally accurate on its assessments. It is clearly evident that the market is already predicting a stable government under a strong leadership. Infosys shares declined nearly 5 per cent in early trade on Monday. The IT major on Friday reported a 10.51 per cent year-on-year (YoY) rise in consolidated profit at Rs 4,078 crore for March quarter, beating Rs 3,957 crore net estimated by analysts in an ET NOW poll. After the company revelaed its fourth-quarter numbers and guidance for FY20, most brokerages cut their target prices on the stock by as much as 17 per cent, while some downgraded it. Metropolis Healthcare on Monday made a decent market debut, as the scrip got listed at Rs 960 on BSE, a 9.09 per cent premium over issue price of Rs 880 per share. Price as on 15 Apr, 2019 09:26 AM, Click on company names for their live prices. 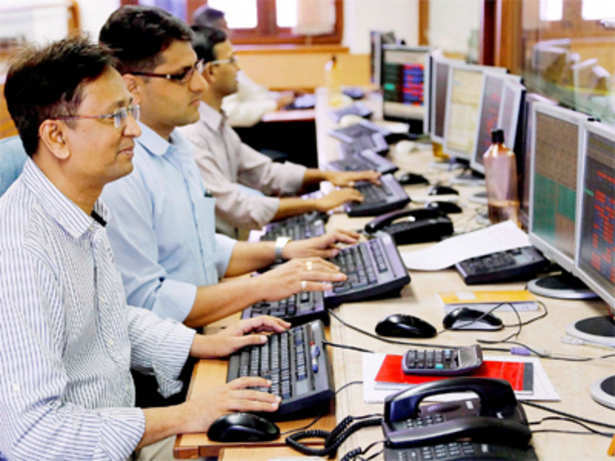 Sensex gains 150 points, Nifty above 11,700; rupee trades at 69.09 against dollar. Nifty futures on the Singapore Exchange were trading 12 points, or 0.10 per cent, lower at 11,679.50, indicating a negative start for the Nifty50. On a weekly basis, the index formed a Hammer-like pattern. This formation, following an indecisive Doji in the previous week, suggested a loss of momentum. The index has been finding support from its 20-day moving average, whose value is placed at around 11,560 level. This made analysts believe the 11,580-550 range should act as support to the BSE barometer next week. Asian shares on a firm footing Asian shares started on a firm footing on Monday and the dollar eased as risk appetite was whetted by better-than-expected data from China that helped boost confidence. MSCI's broadest index of Asia-Pacific shares outside Japan climbed 0.1 per cent with South Korea's KOSPI up 0.5 per cent. Japan's Nikkei jumped 1.3 per cent to the highest since early December. Russia and OPEC may decide to boost production to fight for market share with the United States, but this would push oil prices as low as $40 per barrel, TASS news agency сited Russia's Finance Minister Anton Siluanov as saying on Saturday. Oil prices edged lower on Monday after international benchmark Brent hit a fresh five-month high in the previous session but concerns over global supplies provided a floor to losses. Brent crude oil futures were at $71.40 a barrel at 0015 GMT, down 15 cents, or 0.2 percent, from their last close. On Friday, the Dow Jones Industrial Average rose 269.22 points, or 1.03 per cent, to 26,412.27, the S&P500 index gained 19.12 points, or 0.66 per cent, to 2,907.44 and the Nasdaq Composite added 36.81 points, or 0.46 per cent, to 7,984.16. Stocks closed near record highs after JPMorgan Chase soothed worries that the first-quarter earnings season would curb Wall Street's big rally back from last year's slump. MUMBAI: Tata Consultancy Services shares are expected to open strong on Monday on better-than-expected fourth quarter earnings. Rival Infosys, which guided for lower profits in FY20, could drop, mirroring the 4 per cent fall in its American Depository Receipts (ADRs) on Friday. Metropolis Healthcare, whose IPO ran from April 3 to April 5, will make market debut on Monday. The issue was subscribed subscribed 5.83 times The Rs 1,200-crore IPO had received bids for 4.47 crore shares as against 76.61 lakh shares on offer. Foreign portfolio investors (FPIs) bought Rs 897.45 crore worth of domestic stocks on Friday, data available with NSE suggested. DIIs were net sellers to the tune of Rs 15.99 crore, data suggested. On Friday, Sensex rose 160 points, or 0.41 per cent, to 38,767. A total of 17 constituents rose and 13 declined. NSE's Nifty settled at 11,643, up 47 points, or 0.40 per cent. However, both Sensex and Nifty snapped their biggest weekly winning streak in a year, with a decline of 0.24 per cent and 0.19 per cent, respectively.